My book Healing at the Speed of Sound® was released in Japan today by ASCII Media Works, although I have yet to hold the Japanese edition in my hands. This adds to the list of English, Korean, French and Complex Chinese editions. I’m delighted that our message of the transformative power of music and sound is continuing to spread globally. 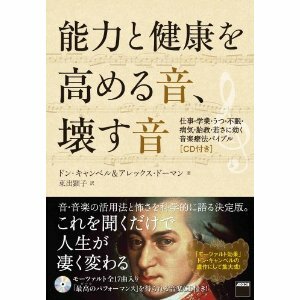 My co-author Don Campbell (also bestselling author of The Mozart Effect®) taught music in Japan in the early years of his career. He had a deep affection for the country and its people. I know how much this book release would please him. This is me raising a celebratory cup of Ginjo to you Don, Kanpai! For English speaking readers, Healing at the Speed of Sound is available in hardcover, paperback, eBook (kindle, Nook), enhanced eBook (kindle fire, Nook color, iTunes), and audio book wherever books are sold. If you’ve read Healing at the Speed of Sound I’d love to hear from you. Let me know what steps you’ve taken to make music and sound part of your health and wellness practice. So, received these at the office today. 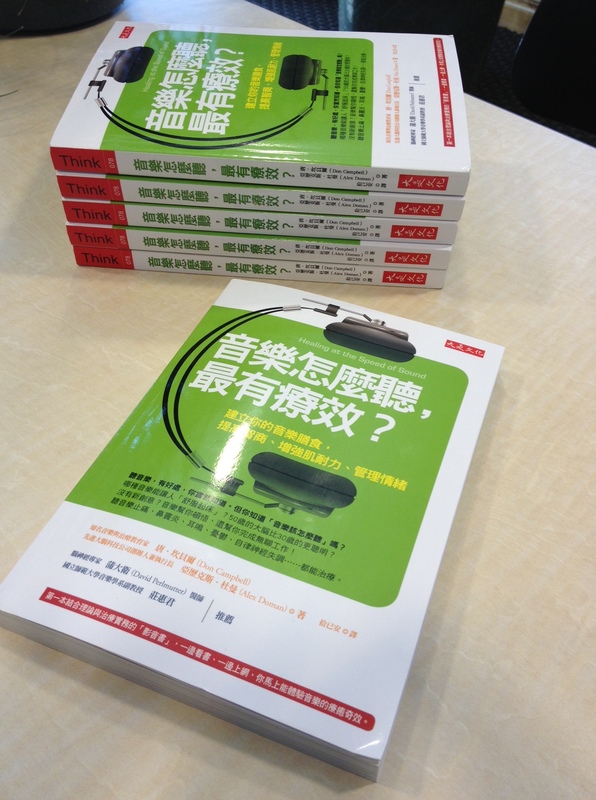 It looks like Healing at the Speed of Sound® is now available in Traditional Chinese for our friends in Taiwan and Hong Kong! This adds to the translation list of Korean and French. Japanese readers can look forward to their edition next. It is so exciting to see our message of the transformative power of sound spreading across the globe! For you English speaking readers, Healing at the Speed of Sound is available in hardcover, paperback, eBook (kindle, Nook), enhanced eBook (kindle fire, Nook color, iTunes), and audio book wherever books are sold. If you’ve read it, let me know what steps you have taken in your life to move away from noise and toward healthier sound. I am attending the first Sound and Music Alliance (SAMA) symposium in Litchfield, CT this weekend as an invited panelist. This is an exciting new organization advancing the intentional use and transformative power of sound and music. SAMA, a 501(c)(6) not-for-profit membership organization is an interdisciplinary alliance of therapists, clinicians, educators, musicians, researchers, sound and music practitioners, indigenous teachers, program developers, and product manufacturers.